The Pro Star is one of the longest produced five-star style drag racing wheel for a reason, its storied past makes it one of the more iconic wheels on the marketplace. 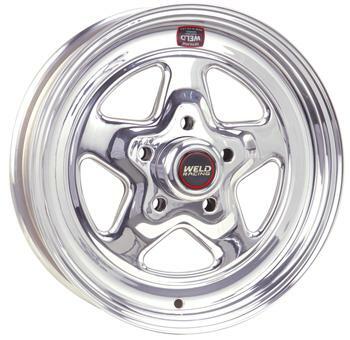 These wheels used to be the norm in NHRA Pro Stock and eventually made its way down to the streets on muscle cars and late-model vehicles. The two-piece cold forged and welded construction allows the wheel to be lightweight but hold up to the rigors of daily drivers. Maximum load rating for street applications is 1200 lbs per wheel (2400 lbs per axle) with a 28” tire. Mag style lug nut required 1.310” to 1.375 shank length. This is a made-to-order product. Please allow 2-3 weeks to build.